As a team of experienced professionals, Brian Gale Surveyors draw from extensive experience in surveying properties across the South East of England in order to provide clients looking to purchase a property in Godstone with all the relevant information they need. We focus on providing services tailored to meet each client’s needs, and with experience surveying all property types we are able to offer specific advice for all clients, whether you’re a first time buyer or an experienced landlord. Purchasing a property is often considered to be one of the most important investments you can make in your lifetime, so it is essential that you have all the key information you need. With the help of a licensed surveyor, you will be able to get a comprehensive look at the property in question. A professional surveyor will identify any major of immediate defects found which may cost to repair. This allows our clients to make an informed decision on the purchase of a property. Brian Gale Surveyors was founded in 1985 and since then has established a stunning reputation for comprehensive, in depth and unbiased surveys for all property types throughout London, Sussex, Surrey and the surrounding areas. We have worked with countless happy clients across Godstone throughout the years, which can be seen from our successful testimonials found on the testimonials page on our website. With a dedication to helping clients both new and old, whether you require assistance in requesting a lease extension or you would like advice on the best type of survey for your property, Brian Gale Surveyors offer quality, personal advice and assistance. Drawing from a wealth of experiences in surveying all property types across Godstone and the surrounding areas, we take pride in the personal level of service we are able to give to all clients. Brian Gale Surveyors offer a variety of services for clients throughout London, Sussex and Surrey, drawing from essential experience in the Godstone are in order to ensure that our services are tailored to meet the needs of each client. We also provide a range of other property related services to ensure complete client satisfaction in everything we do. Brian Gale Surveyors draw from extensive local experience in surveying all property types, from small cottages to large country manors across the South East of England in order to provide a completely personalised service that is tailored to meet the needs of each of our clients. 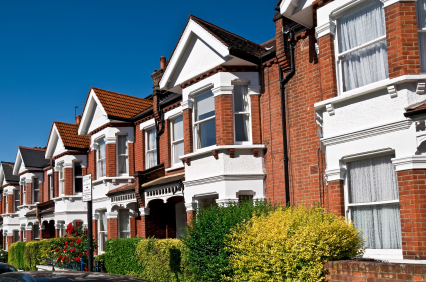 Whether you’re a first time buyer or an experienced landlord, get in touch with us today for more information on the property related services we provide. We are dedicated to helping all clients, both old and new, and focus on ensuring complete client satisfaction in every service we provide. We operate throughout the South East of England covering London, Surrey and Sussex, with a wealth of experience working in Oxted and Chislehurst to name a few. You can give us a call on 01737 245947 and speak to a member of our friendly team who will happily help you. Alternatively you can also get in touch with us by completing the form below, or by emailing us at sue@briangalesurveyors.com and we will get back to you as soon as possible. We hope to speak with you soon.